Ok, a few words of warning here: this furniture is simply astonishing and you’ll surely be gobsmacked by the pure genius of it all. We’ve just discovered it’s available in Australia so we actually have access to this incredible furniture! Take a look, get inspired, be creative and let the amazement commence. Designed and made by Italian company Clei, this space-saving furniture for the entire home is an enormous feat of engineering and innovative design. I’m going to focus on what’s available for children and their play and sleep spaces but I’m hankering after that uber gorgeous white coffee table and side table/dining table for myself. You’ll see them in the beginning of the below video (which I’ve watched five times now!). 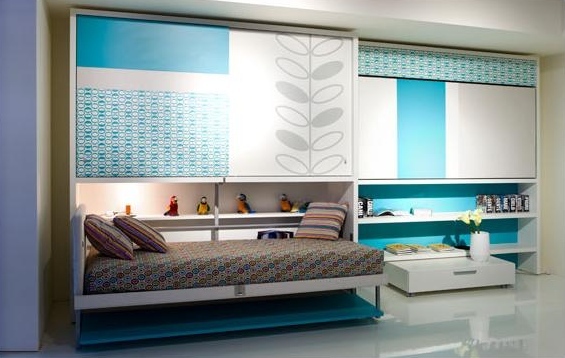 Clei has designed a multitude of options for kid’s bedrooms based on a variety of space limitations and how many children will be using the room. 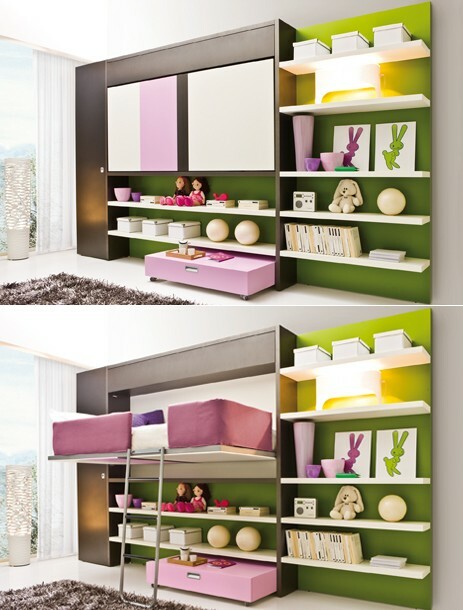 For one child, my favourite is the ‘Lollibook’ design which is a bookshelf by day and loft bed by night (see top image with green walls). Oh, be still my beating heart! The options for shared rooms are many and I’ve chosen just a few of my favourites – ones I think are simply too cool – to help illustrate the choices. 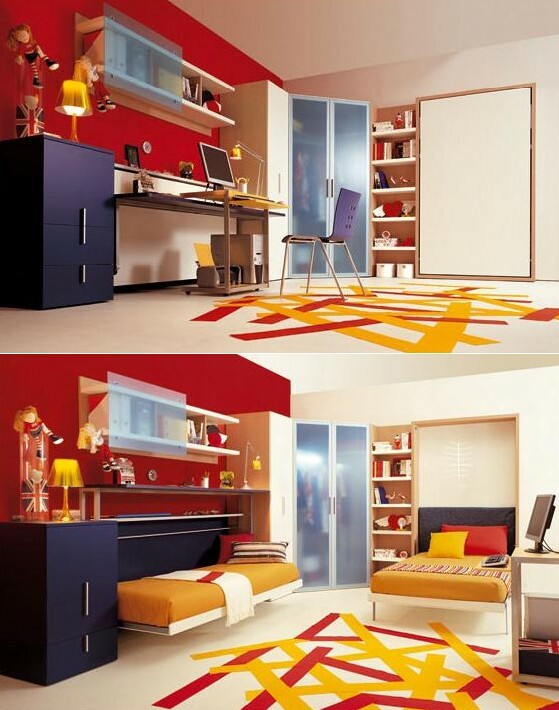 See the images above and this remarkable bedroom below. 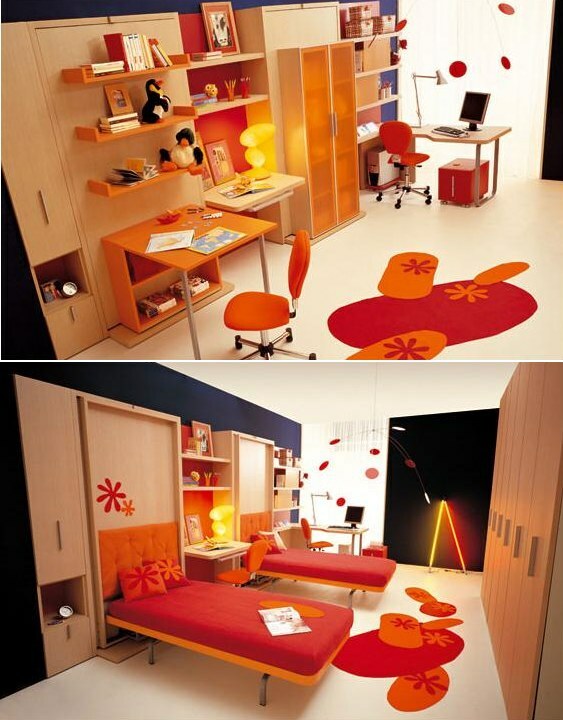 The ‘Lolliboard’ room has a single loft bed, a large desk and a bookcase. 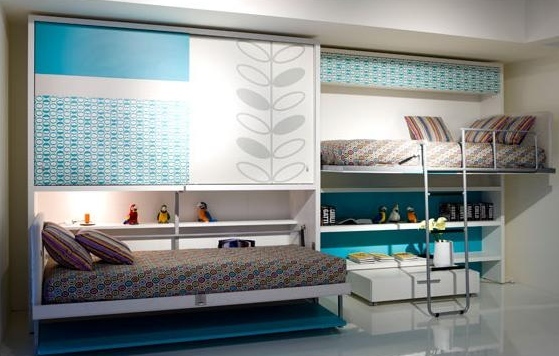 Now, the Lolliboard bedroom has a bed and two bookcases. Finally, it has two beds and two bookcases. An incredible use of space and stunning to boot. We have learned that a lot of the collection is available right here in Australia through The Comfort Shop. They have three stores in Sydney, one in Melbourne and they deliver Australia-wide! 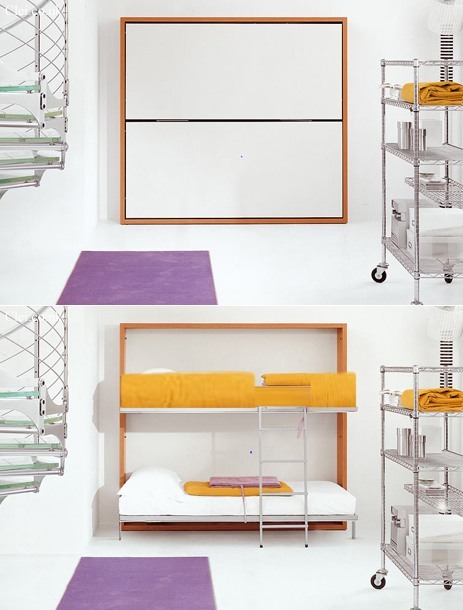 Wall beds usually start at $3,490 but we’re lucky to have caught them on sale right now – they now start at $2,790 for a short time only! 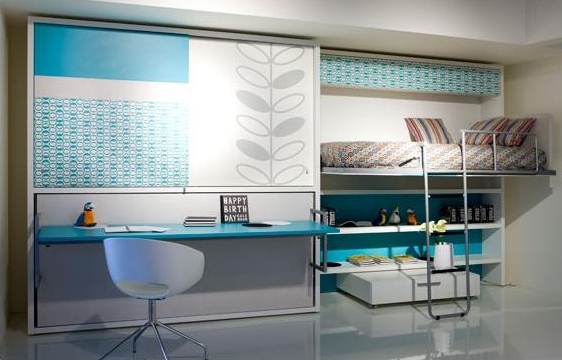 Here’s the must-see video of Clei‘s range of space-saving furniture.